Well, you knew I couldn’t let this one pass without comment. Last week’s ludicrous attempt to claim a peacock as an emotional support service animal on a United Airlines flight in New York has finally drawn public disgust to the very issue I’ve been bitching about for two years (to anyone who would listen). 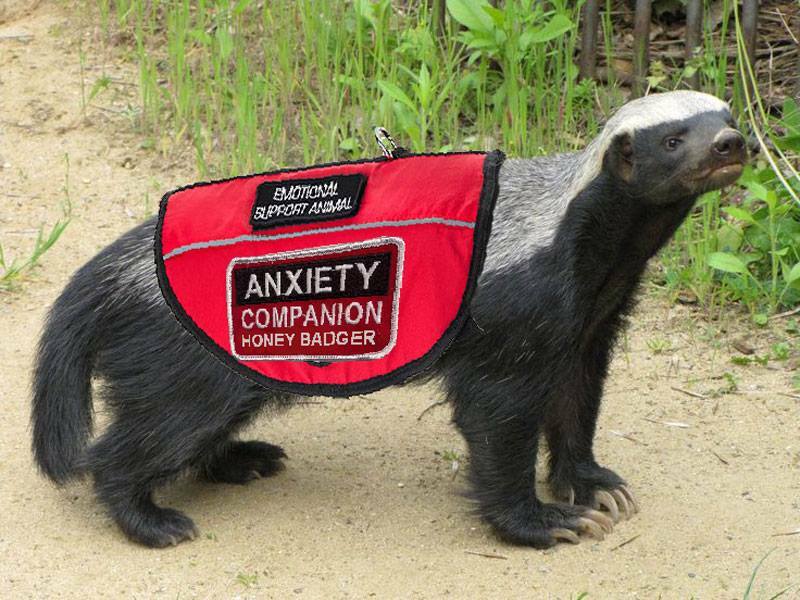 The service animal concept has not only jumped the shark. It has officially joined the cow in jumping the MOON. (And isn’t it only a matter of time before someone tries bringing a live, gasping-for-air shark on board to alleviate their flavor-of-the-month emotional issue?) Most of my friends with flight anxiety just pop a Xanax. And no, I don’t condone cavalier opioid usage — far from it — but they have ‘scrips so they can fly without drawing the ire of a sky marshal with their twitchy behavior. The stern, unfriendly face that I would never wish to awaken to on a flight. Or anywhere else, for that matter. 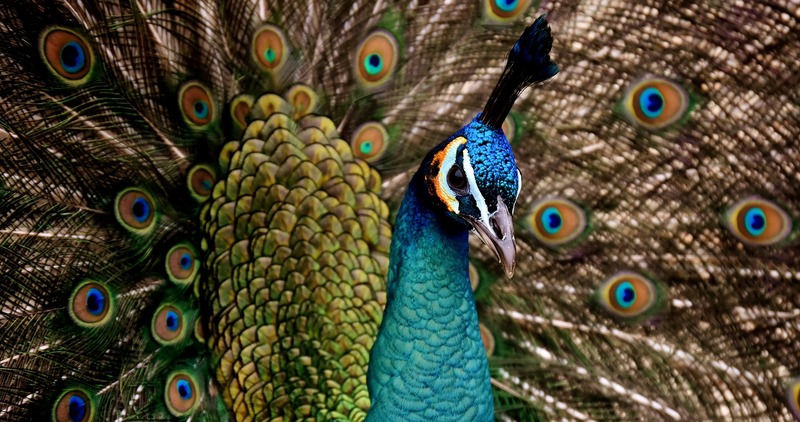 If you’ve ever spent time around peacocks — and I have, from a safe distance — you know they are extremely LOUD animals. Your noise-dampening Bose headphones could never drown out a peacock’s cacophony. So…does the flight remain grounded until the passengers can actually hear the flight attendant’s instructions, being drowned out by a verbose peacock? And how will this affect the airlines’ on-time arrival stats? Give that peacock a Xanax, stat! A year ago, I was writing an article for a corporate travel management client. They wanted a piece on the rules and regulations of service animals. I had Starbucks with some flight attendants to get their subject matter expertise. I was gobsmacked by what they shared. (Oh, and the mile-high club is alive and well, I’m here to report. That detail didn’t make it into my article.) Most people, in their opinion, were simply avoiding paying for their animals’ flights by deeming them “service animals.” One passenger literally brought a service pony — not a typo — on one of their flights. Another, a goose. Anyone who knows me, knows of my extreme bird phobia. In this new, weird era of the .000001% minority having the greater influence and the louder voice, I have to wonder…at what point does my phobia override the emotional issues of the service animal-dependent passenger? Or my allergies? I’m allergic to animal hair (hence Jonesy, my hairless cat, whom you may have met in my previous blogs.) And I know I’m not alone in that. Somehow, airlines have lost sight of this. They’ll bend over backwards to ensure no one violates another passenger’s nut allergies with a random PBJ, but what of my issues and allergies? Will they matter? I’ve heard the halt to this recent peacock invasion was due more to the space the bird’s tail feathers required–at least 2 seats–than the disruptive nature of the beast in question. All I know is, I miss the days when common sense prevailed, and we as a society weren’t catering to the obscure desires of the .000001%. I’m hoping PeacockGate has raised enough awareness to put a stop to this insanity. But if this service animal trend continues its reckless trajectory, I’ll be next in line for a Xanax ‘scrip.